The energy landscape in the United States has been reshaped since the development of our commercial nuclear power fleet. Innovations in horizontal drilling and hydraulic fracturing of shale source rock have made this country “the Saudi Arabia of natural gas” by reimagining the production of resources once thought unexploitable. Wind and solar power dot the landscape, driven by supporting policy but also by continuous advances in technological performance, manufacturing, and business strategy. They have evolved from science experiments to now justifying their own roles on our changing electric grids. Meanwhile, rethinking how we use our energy, from LED lighting to low-heat-loss windows, has dramatically improved efficiency and disrupted the curve on electricity demand. Over the past decades, nuclear power has been an affordable, reliable, and low-polluting pillar of our energy system; as we look to the future, can it too be reinvented to sustain and enhance the nuclear contribution in a newly diverse and robust energy industrial landscape? Our purpose in the Shultz-Stephenson Task Force on Energy Policy's Reinventing Nuclear Power project is to offer a technically grounded and policy-informed assessment of the case for a US civilian nuclear future in a modernizing grid. To do this, we have asked experts from around the country to use a fresh mind to identify the largest obstacles to shaping national energy policies in this area and the decision points around them, to specify potential roles for government, military, and the private sector, and finally, to propose solutions in defining a way forward. As Exelon Corporation's John Rowe once noted, “Nuclear is a business, not a religion." And unlike articles of faith, the market requires constant reinvention to stay relevant. Ultimately, objective merits should determine how and if nuclear power is able to fulfill its full promise. US leadership in developing and fostering a global civilian nuclear power ecosystem over the past half-century is undeniable. In this new energy landscape, it is our hope that the American nuclear enterprise can build on this precedent to legitimately reinvent itself for the next. To read the full introduction by George P. Shultz and James O. Ellis, click here. 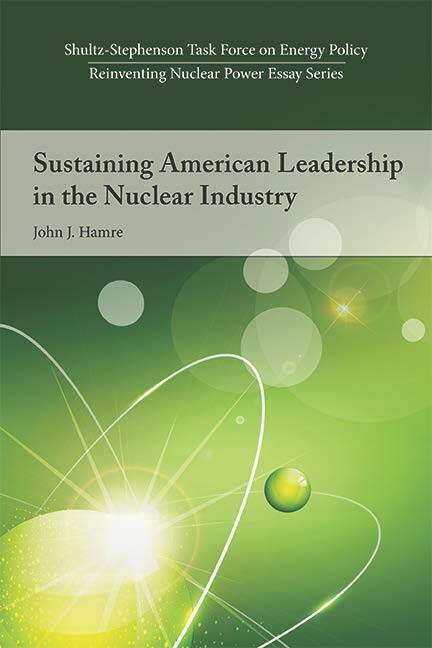 Retired Navy Admiral and former INPO head James Ellis introduces the series exploring how innovation in civilian nuclear power technology and business cases might play a role in the rapidly changing United States energy system. The US Small Modular Reactor (SMR) effort is at a critical juncture. SMRs offer a new approach to a familiar energy technology, one with significant environmental, energy security, and international strategic advantages. Despite industry support and a successful start to government licensing programs that are cost-shared with industry, several interrelated economic challenges nonetheless remain. Widespread deployment of US-built SMRs to meet the anticipated domestic and global marketplace demand of the mid-2020s is essential, and could be in jeopardy unless decisive action is taken now. A more proactive national strategy, starting with an integrated government and industry road map for SMR deployment, could make a difference and attract utility investment. Small modular reactors (SMRs) have recently garnered significant interest in the United States and abroad. The responsibility to review and license SMRs falls to the Nuclear Regulatory Commission, which has been closely watching small modular reactor developments and is currently conducting detailed pre-application reviews. This paper provides an overview of the Part 52 licensing process, as it has been used in the review of large light-water reactors, and discusses how lessons learned from that experience are being used to prepare for review of future SMR applications. The authors describe NRC’s overall readiness to review such applications and provide the status of selected SMR-related policy issues. Inexpensive natural gas makes the commercial case for new construction of nuclear power plants weak, but compelling reasons point to why America must nonetheless maintain its strength in the commercial nuclear power business. America’s historic interests in this area drove it to take the lead in designing a global regime of nuclear security. Moreover, our national security depends on secure base load power supply, particularly for critical facilities that now rely on a vulnerable the civilian grid. Sustaining nuclear power will require a federal government mandate. Small modular reactors (SMRs), and Department of Defense capabilities offer an attractive solution to this problem. The justification for US government investment in nuclear small modular reactor (SMR) technology is derived from the environmental, security, and economic policy goals associated with the successful deployment of this disruptive innovation in clean energy. To achieve these goals, the government must develop and execute a set of partnering strategies tailored to the specific conditions and risks faced by each of the key stakeholders: vendors, utilities, and end-use energy customers. Getting this right requires taking a first step: convening a government and industry stakeholders' meeting to better understand their support for and commitment to SMR commercialization. Nuclear power provides one-fifth of United States electricity generation, and nearly two-thirds of all zero carbon power. The country's large nuclear fleet has long provided the foundation for it to be the global leader in nuclear power technology, safety, and anti-proliferation. But today, plants around the country are closing at a surprising pace. While proximate causes vary, a deteriorating economic environment underlies each. This book does two things. First, it diagnoses the problems facing American nuclear plants as they navigate today's changing electricity markets. 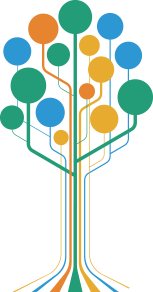 Second, it describes potential policy and business remedies in detail, explaining the tangled context in which they would operate. It is a primer on what it may take to keep America in the atom-splitting business. “Technology Distillate: Small Modular Reactors"